The Baconator! An oatmeal stout with 25% oat-based ingredients and a nice touch of gourmet coffee and a lot of smoked malts. 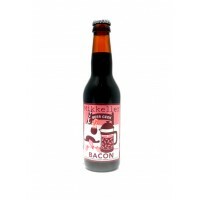 This beer is a smoked version a Beer Geek Breakfast.